We’re under pressure here today. 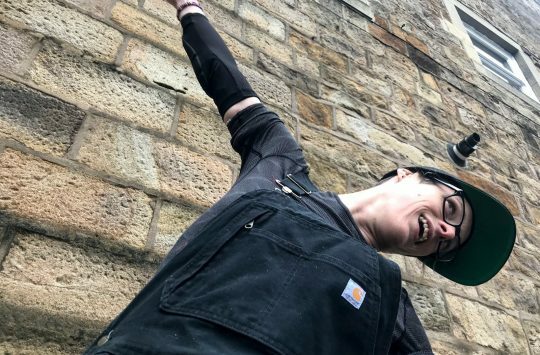 Much of the Singletrack team is off on their holidays, and quite a few of us were out for a post-deadline trip to new Vocation Brewery bar along the road in Hebden Bridge last night. We’re feeling a little too fuzzy to be moving at pace. And so we shall amble onwards through the preamble. Which makes us wonder, is preambling necessary before an amble? Surely if a warm up is necessary, you’re ambling too hard? When does ambling become strolling? Can you amble with purpose? These are the sorts of questions that spring to mind as we amble/bumble around the office. Also, do blackbirds like the taste of worms? And can fish hear? Was that just beer we were drinking last night? GX Eagle – you’re going to be seeing this a lot we reckon. 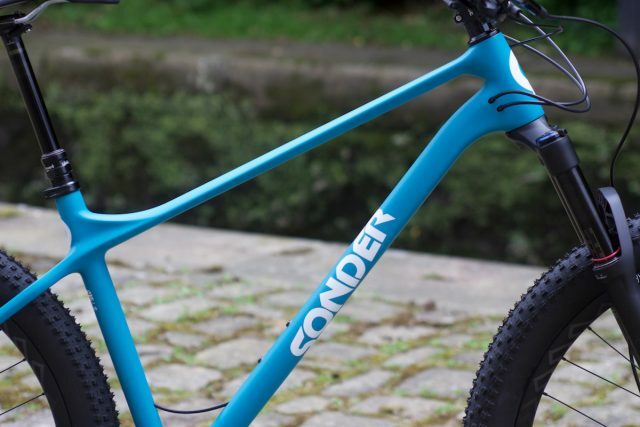 Available as a frame only at an impressive £699, or in a variety of fully built specifications, we’re looking forward to seeing how this 27.5+ bike rides. 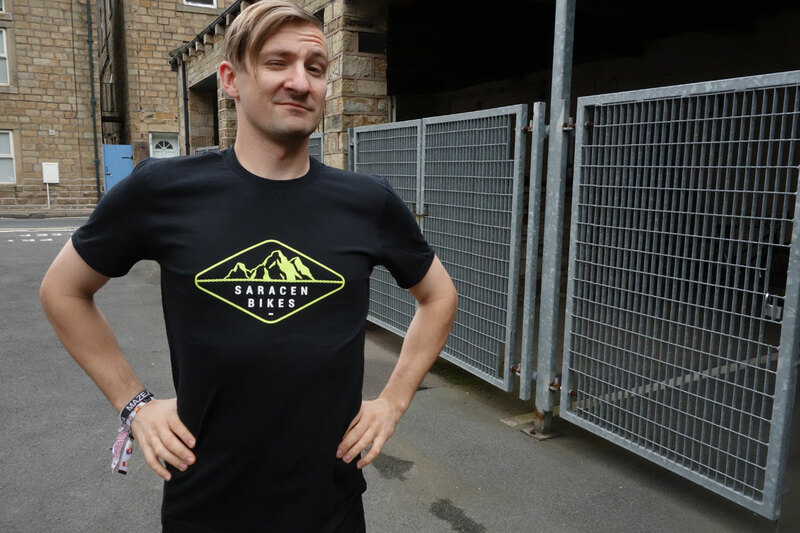 Also available in ‘Rocket’ green and ‘Black’, er, black. 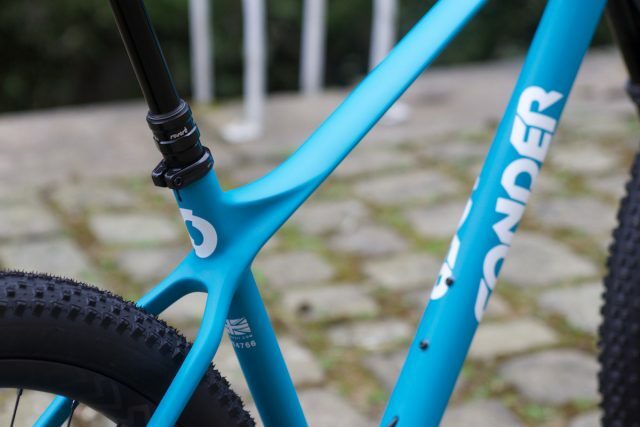 The carbon frame features some lovely swoops and curves. And that colour. It’s like the sea. Let’s dive in. Chipps, blending in with the flowers. Chipps reckons he could hide in a box of Lego with this. He might be right. It might also be effective in a ball pool. 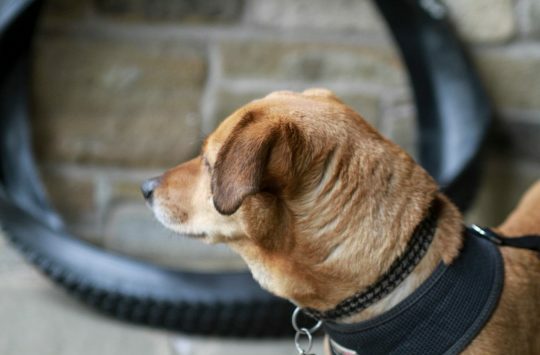 Both however are likely to result in Chipps being put on some form of register, so hopefully he’ll only be wearing it to ride on the hills, where as far as we can tell, we’ll be able to see him no trouble. Made with a mesh front so you can get plenty of air to your body, or wear it to special parties, the cuffs are Lycra for a comfortable fit. Oh, and it’s made in England too. Advice probably best not listened to. If you’re in the business of selling protective gear, what better way to ensure continued customers than encourage them to hurt themselves? These came with some pads and body armour that Chipps wore to the Fort William Endurance Downhill the other week. Happily Chipps wore the protection but didn’t use the headset caps, so he only rode moderately quickly, took few chances, and was back in work this week to make sure the latest issue headed safely off to the printers. 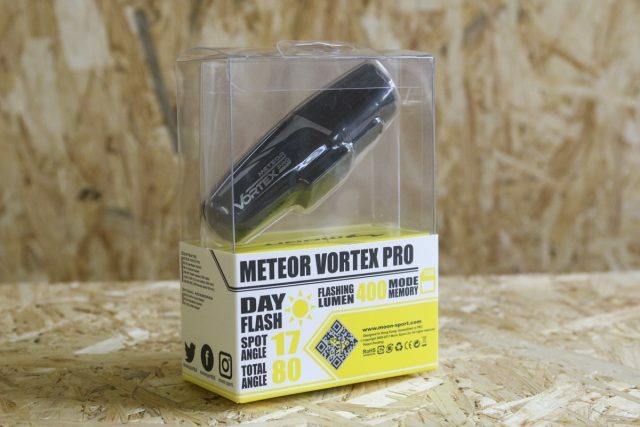 100 lumens front flash, 40 lumens steady. 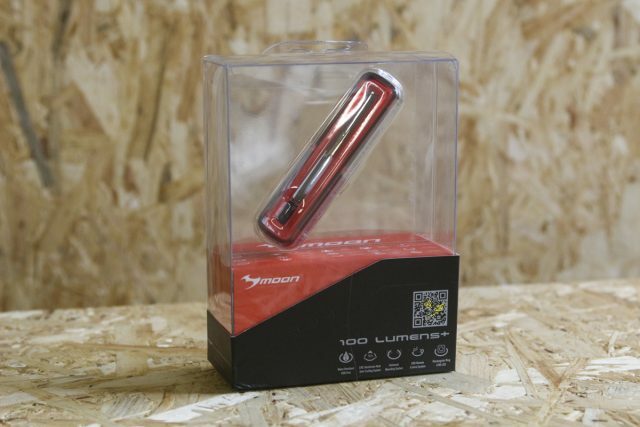 Available as both a front and rear light, these are dinky little USB rechargeable lights, Small enough to keep on your bike just in case that last stretch home is in the gloom of the evening, the front light gives off 100 lumens in flash mode or 40 lumens in steady mode. Maximum run time is 70 hours. 15 lumens rear flash, 6 lumens steady. The rear light offers a maximum 15 lumens of light in flash mode, and 6 lumens in steady. 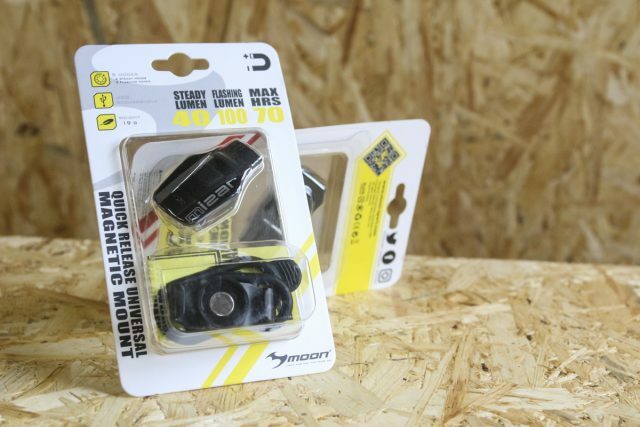 Both lights use a magnetic mount and rubber strap to fix the light onto your bike. A water resistant USB rechargeable light with integrated battery, offering 900 lumens on max flash, and 700 lumens on steady. More of a meteor shower? 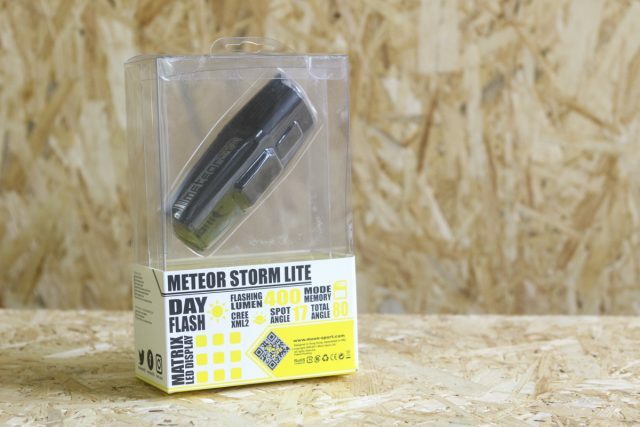 At the lower end of the Meteor storm range, this Lite model pumps out 1100 lumens in steady mode and 400 in flash mode (compared to the Pro which whacks out 2000 lumens). With an integrated USB rechargeable battery, you get a maximum run time of 105 hours. Not round like the moon. 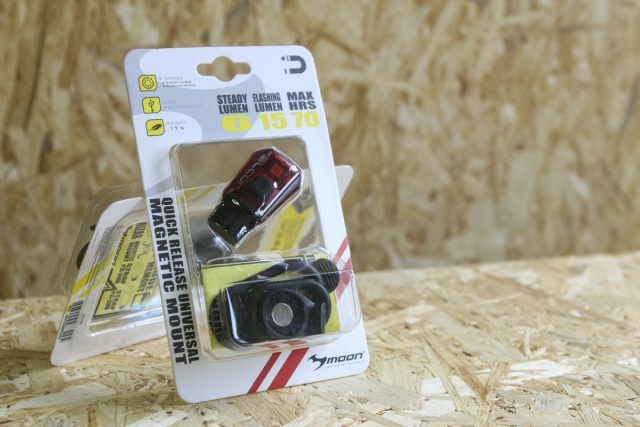 A sleek rear light offering 100 lumen on steady and 180 lumens on flash. 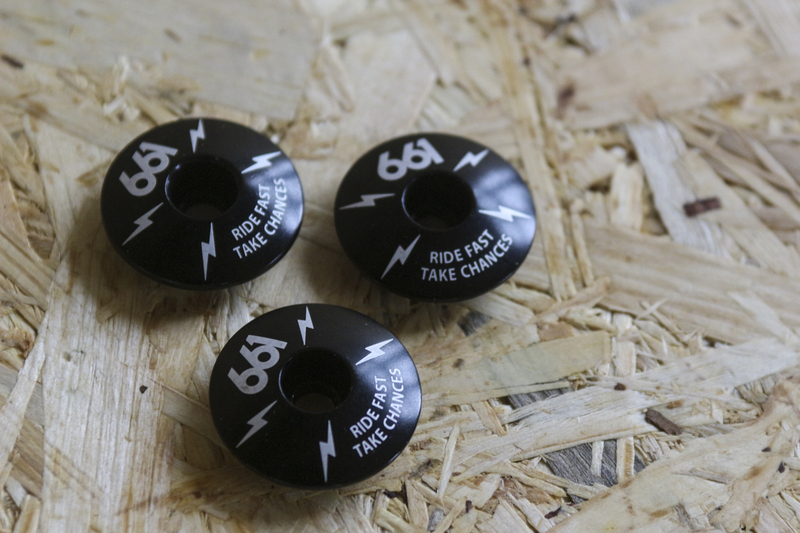 Comes with different attachment options, so you can fix it horizontally to your saddle (eg if you have a dropper) or vertically to you seat post. Apologies to anyone with a hangover. 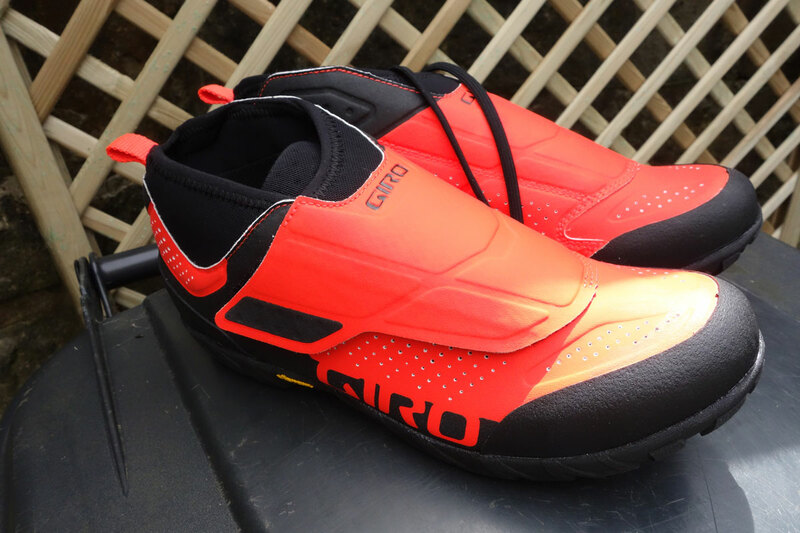 These are bright, so very bright. But also available is less bright colours, like the grey ones Chipps just reviewed here. With laces hidden under those big velcro-ed flaps, you can get these adjusted to just the fit you want. The mid shoe style comes in handy in UK weather, and in this colour your friends will be able to find you easily if you go OTB into a bog. These particular ones have some special alterations made just for Chipps. We can’t tell you what secret features he’s had built in – but feel free to guess in the comments section. 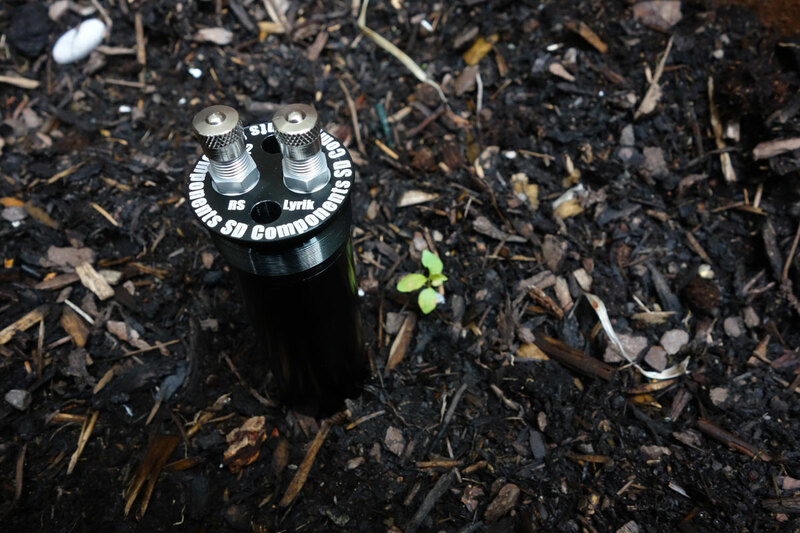 This bit of kit splits a standard air spring chamber from two chambers (1 positive & 1 negative) to three chambers (1 primary positive, 1 secondary positive & 1 negative). This allows you to run low pressures for good small bump sensitivity, yet still have good support from the reduced volume of the primary air spring. 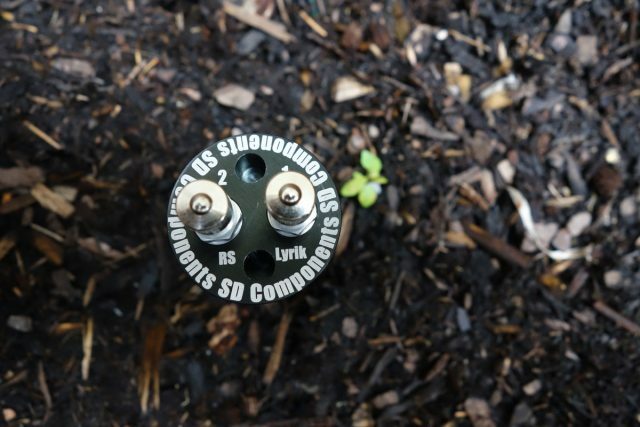 As the fork goes deeper into its travel, the pressure of the primary chamber increases and eventually exceeds the threshold of the secondary air chamber. The floating piston will move to equalize pressures in both chambers, effectively acting as a single large chamber as the fork goes deeper into its travel. It’s amazing what you can grown from GM seed these days. This should have a similar effect to bottomless tokens, but with greater adjustability. Perfect for all you tech geeks, and our Wil. 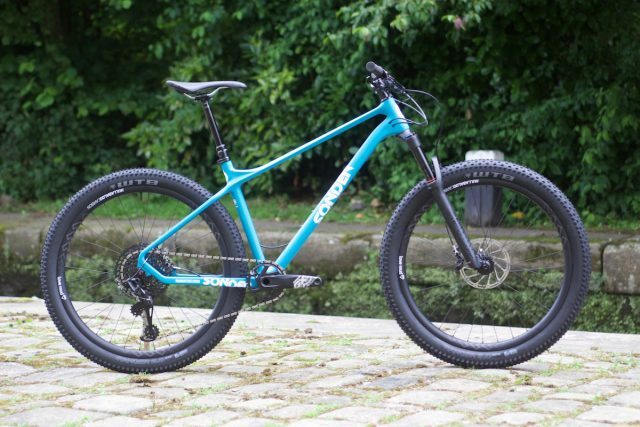 This one is made to fit a Lyrik fork, but others are available for a variety of ‘solo air’ type air sprung forks. Not industrial chic decorative flowers. 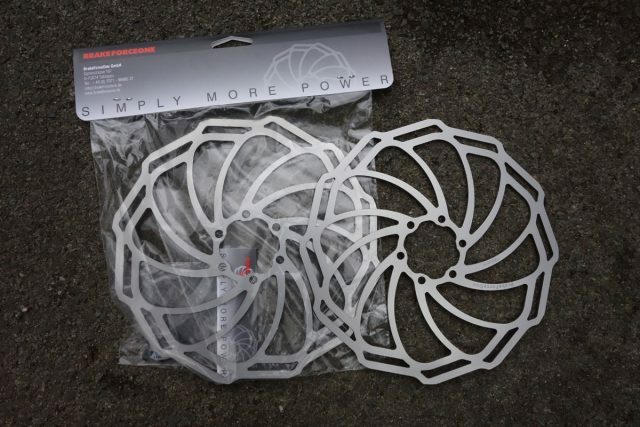 These are for the water based brakes that we’ve been testing for an upcoming issue of the magazine. 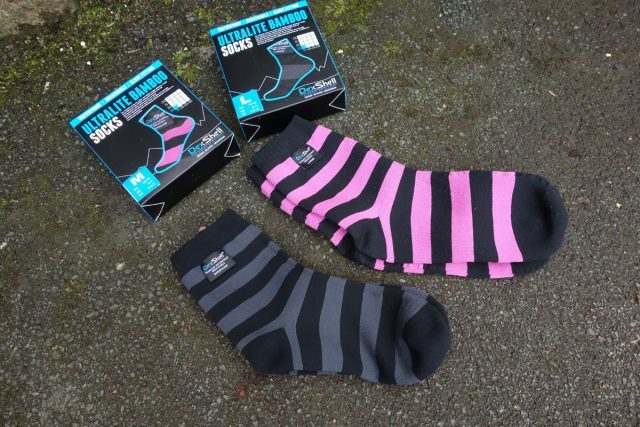 Recognising that summer in the UK is not necessarily dry, Dexshell has introduced these breathable waterproof socks for summer. And they’re stripy! Hurrah! This is a promotional t-shirt from Saracen – we’ve been off seeing things we can’t tell you about yet. Ssh. We’re not sure if David has smelled an evil smell, or is just thinking evil thoughts. 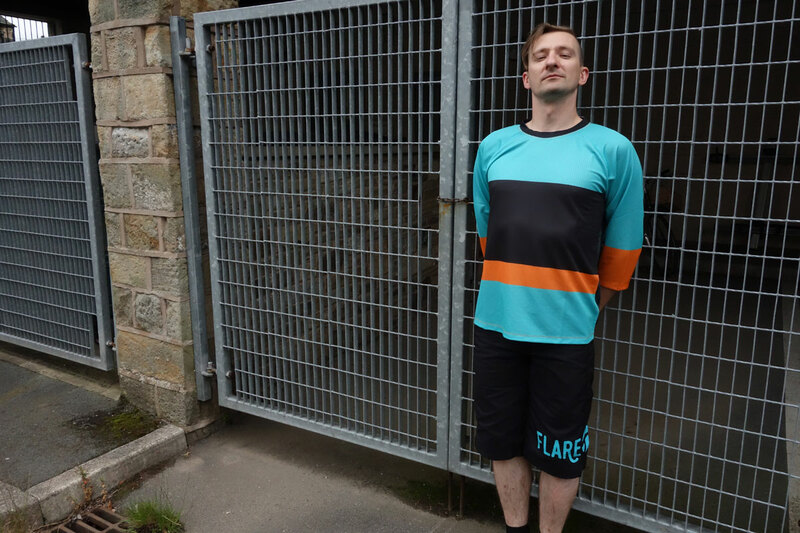 Flare make a range of clothing in nicely not your usual men’s and women’s colours, with nice little graphic detailing. 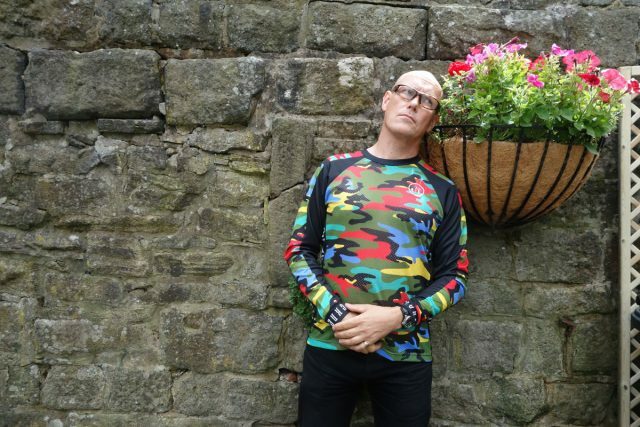 This 3/4 jersey in polyester has a bear hidden among the trees on the back, which might explain what David’s up to here. No bears here. Just David. There’s four way stretch fabric and a reinforced seat, plus knee vents and zipped pockets. 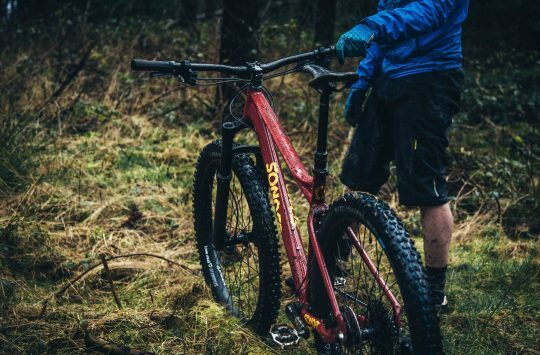 Robust but comfortable enduro shorts built to last. All righty then. It’s time for the weekend. Or to continue it. Or to start the summer holidays. Or continue it if you’re in Scotland. Or just dance. Gently, in our case. 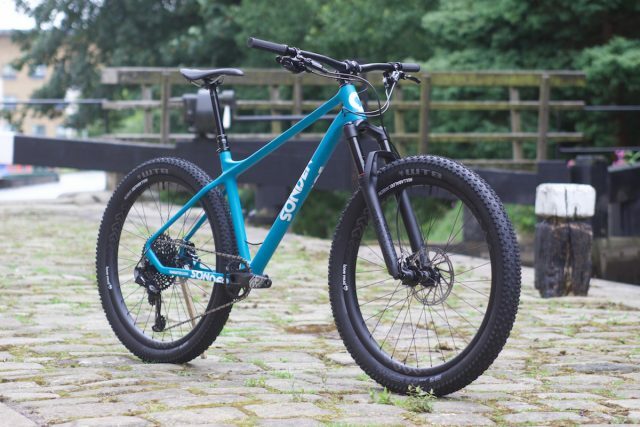 If that carbon Transmitter is anywhere near as good as the Alu one I reviewed many moons ago it is a stonking good value bike. By far, one of the most entertaining hardtails I’ve ridden in years. That Sonder does look good, but no XL size, so that rules it out for me. Pity.